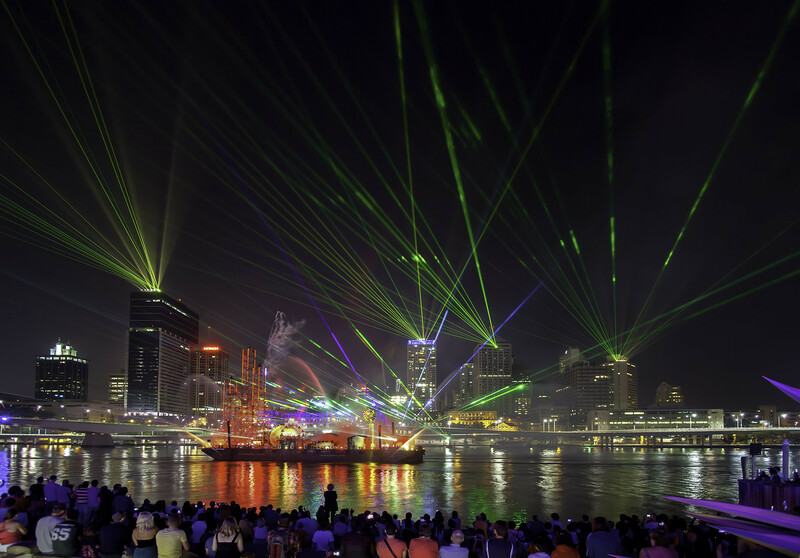 Brisbane's annual City of Lights Laser Show, lit up the city spectacularly once again. Like something straight from those funny fungi you used to eat, the city was dazzled by the show put on by John Rayment and Tony Assness. As one of the premier attractions during the festival, onlookers gazed to the sky from vantage points all over the city. for the three week run. Lasers, searchlights, and lights of all assortments were on display, and the city of Brisbane definitely was the City of Lights.